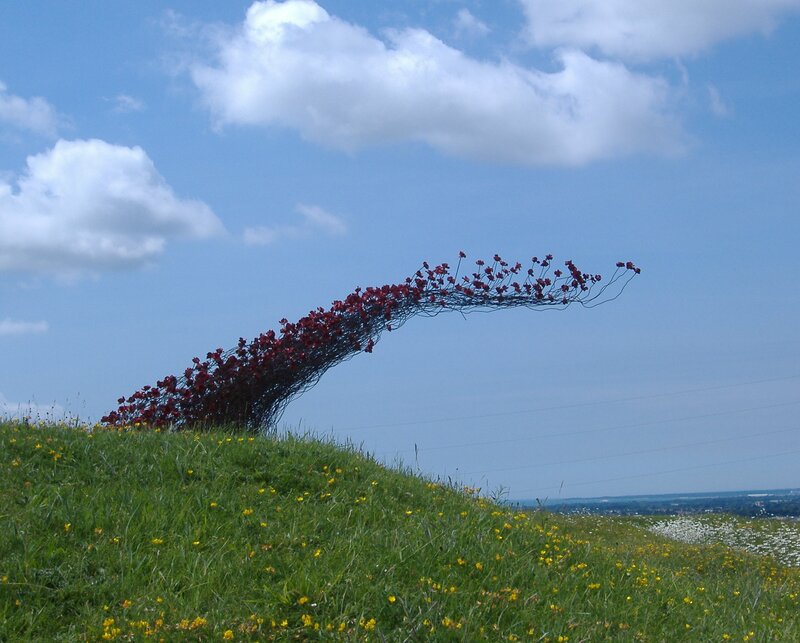 WW1 Poppies Wave : Over The Top at Portsdown Hill. Copyright Anne Grant. As the First World War commemorations draw to a close, we are much better informed about what our ancestors experienced and endured. These four commemorative years of TV and newspaper coverage has educated us to a greater understanding than we ever had before. 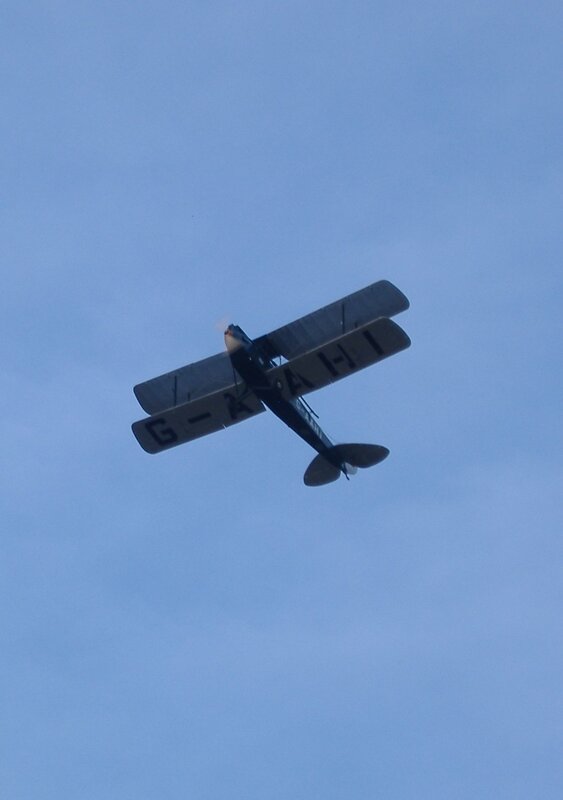 Tiger Moth G-AAHI at Southwick Revival 2018 with Tiger 9 Display Team. Copyright Anne Grant. Behind every staggering statistic are the tragic stories of each individual who comprised those appalling numbers. 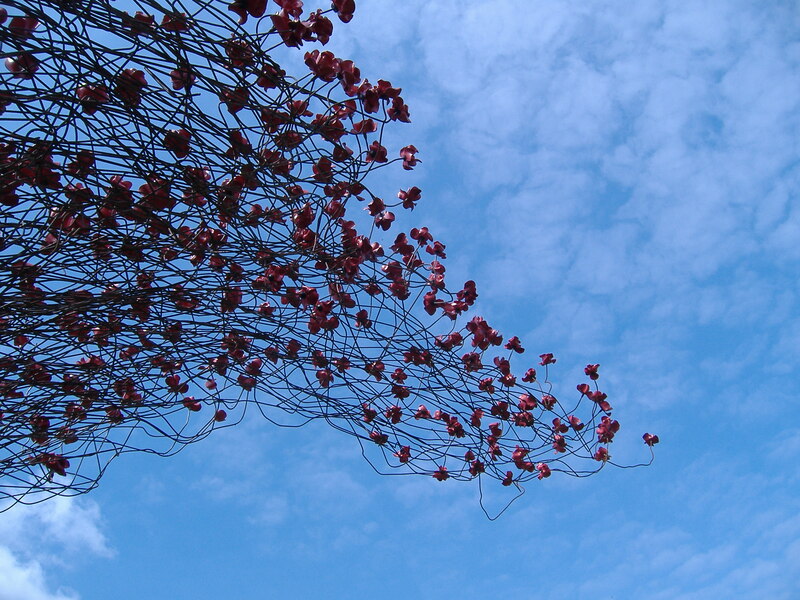 The artistic interpretations, like the deeply moving Poppy Installation at the Tower of London in 2014 and now the lighting of the candles in the Tower Moat in November 2018, have the power to touch us with lasting visual memories. It is hard to think of something to say which hasn’t been said before by all the historians and television coverage. More British airmen died in WW1 as trainee pilots then were killed in action against Germany’s Air Force. They died in accidents as a result of aircraft design faults or by instability when landing their planes. The knowledge gained from those awful accidents, in the early years of aviation, contributed towards improvement in aeroplane design and safety. Those young men never saw action at the fighting Front but they too gave their tomorrows for your safety today.